My Panasonic DMR-BS880 500GB records perfectly well onto the hard drive, however latterly when I copy recorded programmes from the hard drive to a blu-Ray disc it sometimes goes through the process of recording but there is nothing recorded on the blu-Ray disc. When the recording from hard drive to the blu-Ray disc is successful, on playback from the recorded disc the picture is heavily pixelated and jams up making it impossible to watch. The sound on the playback is also heavily affected by jamming and breaking up. Has anyone else had the same problems and is there a diy fix? My Panasonic DMR-BS880 free sat blue Ray unit fails to record in timer mode and Direct recording mode. It records fine when in "Rec" mode. All problems on this page have been submitted and answered by users. 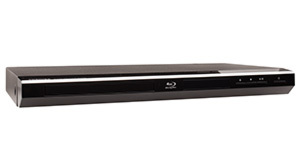 If you have a problem with the Panasonic DMR-BS880 500GB, please submit it below and we'll post it here. Problem: My Panasonic DMR-BS880 500GB records perfectly well onto the hard drive, however latterly when I copy recorded programmes from the hard drive to a blu-Ray disc it sometimes goes through the process of recording but there is nothing recorded on the blu-Ray disc. Problem: My Panasonic DMR-BS880 free sat blue Ray unit fails to record in timer mode and Direct recording mode. It records fine when in "Rec" mode.